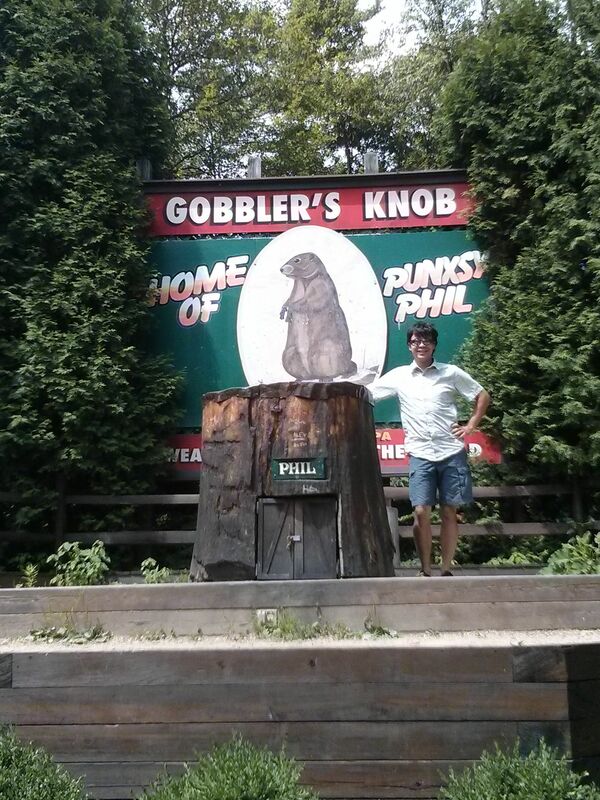 So that must mean we’re up here at Gobbler’s Knob! I’m going to head out in a little bit for the annual viewing, and some sweet vermouth on the rocks with a twist. But let’s start getting a little caught up on the year. Back at the end of June/start of July, we headed down to Fayette County, Pennsylvania to a resort where we had a vacation with my family. My parents wanted to so something fancy for their 50th wedding anniversary, so they booked a couple townhouses at a place for me and my siblings and all our partners, and all the grandkids. We chose to take a more scenic route, driving through the Allegheny Mountains, and the weather was rainy but it made for some breathtaking views of the mountains and the lakes of Allegheny State Park. We also stopped at Fallingwater on the way down, and took a tour which was fascinating. The resort was quite something. It used to be a hunting lodge that got turned into a resort as, what felt like to us, a vanity project for the daughter of a local tycoon. Among other things, the resort had two world class golf courses, it’s own private airstrip, a casino, a section of the Berlin wall and the largest private wine collection in the state. We had a wonderfully relaxing time. L and I accompanied my niece for a relaxing Western-saddle 5 mile trail ride, and my nephew tried it with L the next day. We spent afternoons at the pool with a swim-up bar, and did a ropes course that finished in a zip line. The drive home, we paid a little more attention to the beautiful countryside of Southern Pennsylvania. Fayette County has a ridiculous amount of history in it. Had we a bit more time, we would have gone on more tours of the local parks and battlefields. But we did make the effort to stop one place in particular.